The most complete list of every blockchain and cryptocurrency conference around the world, with ratings! Our custom Bitcoin Market Journal Score is calculated by the number of attendees, ticket price, and quality of speakers. Use it as a guide for which conferences to attend in 2019. Want to list your blockchain event? It’s free: submit your blockchain event here. $495 2,000 ELEV8’s traveling events showcase companies who are using blockchain to improve industries with increased efficiency, security, and transparency, educate current and future industry participants on blockchain technology, and ultimately serve as a platform to connect industry participants to assist in the adoption and implementation of blockchain technology. $488 Unknown BlockShow Asia 2019 showcases innovative Blockchain solutions while revealing the hottest industry trends & sensations and bringing together Blockchain enthusiast and experts from all over the world (powered by Cointelegraph). Unknown 8,500 In 2018, Malta launched Three Bills during the Malta AI & Blockchain Summit. In 2019, the Maltese Government will enact another world first: a Fourth Bill, giving a D.A.O. its own legal personality. In addition, a task force is also working around the clock on a set of incentives that will support businesses in Artificial Intelligence. $1797 7,000 Vegas Blockchain Week 2019 will bring thousands of digital currency and blockchain technology enthusiasts into the heart of the Las Vegas Strip for a multitude of events and experiences. Developers, entrepreneurs, enterprise companies, startups, and spectators will descend on Las Vegas from October 25th – October 31st to discuss opportunities, innovation, change and growth in this exciting and emerging technology. Your Vegas Blockchain Week ticket is your passport to multiple events throughout the entire week. $397 5,500 Executives, enthusiasts, and professionals from global enterprise companies, financial service providers, investment firms, traders, advisory & auditing institutions, blockchain focused startups, academic institutions, government policy advisors, and application developers will descend on Las Vegas to discuss the most pressing topics facing our emerging industry. WCC 2019 will afford 3 days of intense discussions, product demos, expert keynote addresses, panel discussions with industry thought leaders, and announcements from the best and brightest in the industry showcasing new products, ideas, and commercially viable applications of blockchain technology. Unknown 14,000 Blockchain Technology World is part of Asia’s biggest technology show - Big Data World, Cloud Expo Asia, Cloud & Cyber Security Expo, Smart IoT Singapore, Data Centre World and eCommerce Expo Asia with over 14,000 technology buyers and influencers attended last year. Gain access to Blockchain Technology World and six unmissable, interwoven events over two packed days – with ONE ticket, at ONE location. Unknown 5,000 Blockchain Live connects the fragmented blockchain eco-system to advance the global dialogue and journey of taking blockchain to the mainstream and mass adoption to build a better more decentralized world. Blockchain Live brings together leaders from the global blockchain eco-system to explore proven use cases, share learning and form connections to move beyond proof of concept to real-world solutions. $350 1,000 Spend two days of speeches, discussions and other events in an unusual but special atmosphere in one of the most beautiful cities of the Mediterranean, with around 1,000 participants from the most important areas of the digital economy. The De:central Days offer companies of all industries the opportunity to present their digital solutions to help solvethe problems of our time and help find partners for the realization of corresponding projects. Representatives of relevant government agencies will also participate to help everyone create successful partnerships. Topp Jirayut Srupsrisopa, Co-Founder and Group CEO at Bitkub Capital Group Holdings Co., Ltd.
Joel Kovshoff, Founder and Director of Sales at BlockRake Inc.
$99 125 BitBlockBoom! is a Bitcoin Maximalist Event. Attendees range from people highly known and heavily involved in Bitcoin, to people who are just trying to learn what Bitcoin is all about. $549 Unknown FiNext Awards & Conference provides a platform for the global FinTech sector, allowing start-ups, SMEs, incumbent tech providers, investors, financial institutions and other stakeholders to connect and interact under one roof. In addition to the conference, FiNext Tech Awards acknowledge the efforts of FinTech thought leaders, torchbearers of the industry. Unknown 1,500 Blockchain Summit Singapore is a 1-day conference and exhibition connecting over 1500 industry leaders, business decision makers, tech innovators and investors.Based on unrivalled content and exceptional networking opportunities, Blockchain Summit is the largest dedicated Blockchain Event Series in the world. No co-located side events. A purely Blockchain focused audience. $495 2,000 ELEV8’s traveling events showcase companies who are using blockchain to improve industries with increased efficiency, security and transparency, educate current and future industry participants on blockchain technology, and ultimately serve as a platform to connect industry participants to assist in the adoption and implementation of blockchain technology. $0 3,000 The Barcelona Trading Conference is the largest show dedicated to the intersection between FinTech and the Crypto trading community. The two-day event will focus on the latest trends related to digital assets and tokenization. Key topics include institutional adoption, stablecoins, tokenized CFDs, compliance and regulation. $530 250 HODL Rally is an 8-day supercar rally that spans over 1800 miles, 8 cities, 5 countries and includes 6 parties, 1 conference, a fashion show, a VIP super yacht party, a charity gala and a James Bond – black tie poker tournament and cocktail event at Monte Carlo Casino in Monaco. Barcelona Blockchain Summit will take over The W Hotel in Barcelona for a one of a kind crypto and blockchain event. BIS is the 4th stop along the rally and will welcome some of the top speakers and experts in the crypto and blockchain space. Supercars, blockchain, and crypto-based keynote and panel discussions, sponsors and exhibitors all backed up to the beautiful Mediterranean Sea. $175 1,500 CoinAdvice is a leading conference and event organizer which specializes in professional high-level business conferences with a special focus on blockchain and cryptocurrency domain. Our network of domestic and international partners provides prompt solutions for any company's networking requirements. We prevail to advocate for the secure and responsible integration of blockchain and digital assets into mainstream life. Our primary goal is to help the crypto community in growing, to help the participants in understanding the basics, and to share our research with experienced enthusiasts. CoinAdvice is the world’s largest gathering of coin owners, attracting more than 100 global journalists and 250+ speakers where they all come under one roof for the first time. $401 1,200 The first blockchain conference driving progress through academic excellence. The 2019 Crypto Valley Blockchain Conference is a gathering of leading scholars, researchers, developers, CEO's, CTO's, lawyers and government officials, featuring presentations and discussions on the state-of-the-art, latest advances, and future of blockchain technology. $100 3,000 From a 2008 white paper, "Bitcoin: A Peer-to-Peer Electronic Cash System," an idea was born that was so powerful it ignited a revolution. Over ten years later, it's time for the community that Bitcoin inspired to determine its next steps forward. The mission of Bitcoin 2019 is to reignite the BTC community by advancing shared goals and highlighting the projects bringing them into reality — while having fun doing it. This will be the yearly gathering place for old and new friends working together to build the brighter Bitcoin future and we want you to be there. $0 5,000 Blockchain Summit London is a 2 day conference and exhibition dedicated to the business of blockchain and distributed ledger technology (DLT). Based on unrivalled content, 200 visionary speakers and exceptional networking opportunities, Blockchain Summit London is a must-attend event to understand the challenges and opportunities of our blockchain future. $99 500 We’ll have speeches from experts in fields such as Artificial Intelligence, Augmented Reality, Virtual Reality, ICO’s, and Blockchain! Speakers include Bruce Porter Jr., Kent Kristensen, Justin Tabb and many more! With over 40 exhibitors representing everything from ICOs to financial services, our conference is guaranteed to have some projects that are going to get you excited! $0 10,000 The Blockchain conference agenda will present a series of expert keynotes, interactive panel discussions and solution-based case studies exploring the key industries that are set to be disrupted the most by distributed ledger technology, including; legal sectors, retail, financial services, healthcare, insurance, energy, music, government, real estate and more. $120 600 infoShare is the biggest tech conference in Central Europe. Every year it brings together thousands of people looking for a platform to learn, connect and evolve. Developers, startuppers, investors, executives, innovation leaders, marketers, and media who want to explore the world of technology. infoShare is where you can share your story and make your ideas happen. During the conference, you'll find knowledge and inspiration, form meaningful relations and create a truly innovative technological society. Dr Ian Gauci, Partner at GTG Advocates, Afilexion Alliance, and Caledo Group. $900 Unknown Synchronize Europe will host a delegation of senior financial services executives across the buy-side, sell-side, financial market infrastructures, fintech startups, consultancies, vendors as well as regulators and policymakers. Attendees will hear directly from practitioners at some of the largest financial institutions in the world as they rollout production deployments of DLT and learn the most effective ways to evaluate and deploy DLT for their business, how it fits into the existing market structure and what the business requirements of the technology actually are; challenges that have been overcome, from roles and governance, scalability and confidentiality, to interoperability and integration; and how it fits in within larger technology trends, such as cloud, machine learning, and focus on enabling developer productivity. $400 500 UNCHAIN is a 2 day conference featuring the world‘s leading cryptocurrency and blockchain entrepreneurs. Theirr main goal is to connect these experts with leading industrial players from all over the globe - by discussing and exploring the full potential of a decentralized economy. $902 2,000 After a hugely successful first edition, we're hosting an even more impressive event in 2019. Cruise with us aboard the biggest luxury vessel in the world, Oasis of the Seas. Blockchain Cruise gathers more than 2000 attendees for a four-day trip around the Mediterranean. You'll build powerful connections to drive the industry forward, participate in game-changing dialogue, and foster new partnerships. The results speak for themselves. There's simply no other blockchain conference like it. $200 Unknown CryptoCompare Digital Asset Summit brings together industry experts and high-profile institutions, as part of CryptoCompare's ongoing effort to help shape the bridge between the cryptoasset ecosystem and traditional finance. Featuring one day of networking and presentations from a stellar speaker line-up, the summit turns the spotlight on the most ardent aspects affecting the industry. Andreas M. Antonopoulos, Bitcoin & Open Blockchain Expert, Speaker, Author "Mastering Bitcoin", "The Internet of Money" & "Mastering Ethereum"
Peter McCormack, Podcaster, "What Bitcoin Did"
$197 Unknown Devzilla is 3 epic learning days focused around teaching developers to start using decentralized location data in your projects immediately. 2019 is the year of the XYO Developer, and we're over the moon about our new apps, portals, APIs and SDKs dedicated to some of the people who will help us build XYO around the world. Join us at the first ever XYO Devzilla from June 5th-7th, 2019, and meet other developers looking to impact their personal projects, companies, and products with our technology! Nick Szabo, CEO of Global Financial Access Inc.
$1895 500 Join your peers and attend this remarkable summit that brings together the top innovators, early adopters and latest developments in this new tech arena. All the players in the ecosystem will be present and the resulting discussions and networking are sure to leave a marked difference in industry advancements, to the benefit of all! $316 3,000 Token Fest 2019 brings together industry thought leaders who are pioneering innovative solutions for the token economy. Our Tel Aviv event is expected to attract 3,000+ attendees, 150+ speakers & 150+ exhibitors making Token Fest one of the largest conference & expositions in the world focused on the business and technology of blockchain. Thousands of senior-level decision makers will converge in Israel to network and collaborate in an experiential setting. $1410 200 The VoB is a dialogue event that brings together skeptics, advocates, entrepreneurs, and inquisitive decision makers. It is a platform to discuss the potential benefits and pitfalls of bitcoin. The goal is to get a comprehensive understanding and enable all attendees to make well-informed decisions about bitcoin-related to their profession. Dr. Saifedean Ammous, Author, "The Bitcoin Standard"
$0 2,000 Japan Blockchain Tech Summit (JBT) focuses on blockchain technology and promotion of the next generation of IT business. This summit makes exchange between the projects and investors easy. JBT will also offer several interpreters on site in the exhibition hall. The interpreters will help to clear the language barrier between the project companies and press media and help bridge the projects, investor and press media. The summit will invite more than 100 press media, and they will promote development in the future blockchain industry by public relations activities. $225 500 The Monaco Blockchain Conference brings together over 45 Investment Funds, 27 Family Offices, 85 High Net Worth Investors and some of the worlds leading Blockchain Projects for a day and evening of discussions, pitching and networking. ​We have speakers from some of the most successful Blockchain Funds in the world and discussions around Investments, Capital Raising, Regulations, Market Making and Market Entry for Institutional funds. $1650 20 The aim of the workshop is to equip you with practical knowledge about applications of Blockchain. It will provide you with tools and skills allowing to take full advantage of this still undiscovered technology. Our team will guide you through the processes of designing the network, programming Smart Contracts, building DApps and teach you all about the best practices of utilizing the Distributed Ledger Technology. $115 8,500 The world Blockchain conference will take place on 22-25 May at the iconic Hilton Malta, Valletta connecting global thought leaders, policy makers, investors and blockchain crypto startups from all over the world for a 3 day top content event. Non-collocated with any other events, the Forum is 100% dedicated to blockchain and its revolutionary impact on each sphere of human activities. It will feature inspirational keynotes, panel discussions, workshops, fire-side chats, an investors' hub and a host of networking opportunities. Split across three tracks, the blockchain summit's agenda will explore the ways in which blockchain technology will transform the world's economy and finance. It will also highlight its potential for solving environmental issues mankind is facing today thus adding to it a key ethical dimension. Speakers will include some of the world's most renowned thought leaders and global transformers. $0 500 Crypto Expo Asia is going to take place within the framework of Traders Fair. This unique conference for 500 attendees will be hosted by the top Speakers of the industry. The event’s agenda is in line with the latest trends and developments of the crypto world. 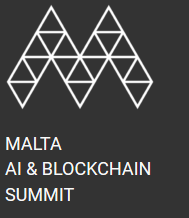 $115 8,500 In 2018, Malta launched Three Bills during the Malta AI & Blockchain Summit. In 2019, the Maltese Government will enact another world first: a Fourth Bill, giving a D.A.O. its own legal personality. In addition, a task force is also working around the clock on a set of incentives that will support businesses in Artificial Intelligence. $0 2,000 The iFX EXPO International conference brings together industry leaders from throughout the FinTech ecosystem with experts in technology, marketing, payments, and compliance. The event features an agenda loaded with panels, keynotes, and workshops highlighting techniques for staying successful while working in today’s volatile financial markets. $0 120 The Tech Family Office meetings are a series of select intimate meetings for up to 120 Ultra & High Net Worth Individuals and family offices representatives focused on investment in innovative technologies. Held at different select venues each time, we bring cutting edge ideas, ground breaking entrepreneurs and market leaders. Our audience represents assets of around 200 Billion USD in the US alone. $385 500 The European Blockchain Convention Nordic Edition is a comprehensive one-day conference that brings together 500+ industry leaders, regulators, politicians, investors, developers, CTOs, lawyers, and entrepreneurs. Our mission is to provide relevant and inspiring content in collaboration with the brightest experts from the global Blockchain scene, while also facilitating an exclusive networking environment where all participants meet to form business relationships and seek potential partners for ventures. $45 Unknown We are happy to bring the LongHash CryptoCon Vol.2, a new series of events designed to spark in-depth discussion on blockchain technology as well as cooperation between East and West. It will be as well a get-together for LongHash network & partners worldwide. The events are open for all blockchain enthusiasts. The goal is to encourage brilliant minds from Europe and Asia to share knowledge and make a positive impact on the blockchain ecosystem. In Blockchain, we trust. $299 1,000 NYC BlockAsia is a premier blockchain conference where east meets west. The conference builds on the success of last year and will be much bigger and more diverse than before. Leaders, startups, funds, policymakers & changemakers from over 20 blockchain ecosystems in Asia will gather in New York City. Over a two-day fiesta, stakeholders will discuss the hottest topics for blockchain in Asia, and celebrate new opportunities to grow the global blockchain ecosystem – together. $570 Unknown At the 2nd Global Blockchain Innovation Summit, attendees will have the opportunity to see and hear just that, as forward-thinking innovators from a range of sectors discuss how Blockchain has (and has the potential to) affect their business. Presented by Corporate Parity, the summit will take an in-depth look at cyber security, regulation, industry applications, cryptocurrency, smart contracts and much more. $935 Unknown Our premier speaker line up of renowned cryptocurrency and technology experts will cover many innovative and exploratory topics, as well as the surging questions pulsing throughout the cryptomarkets today. This will include an analysis of efficiencies within the global digital currency markets; discussion on capturing opportunities of dislocated markets; the challenges and solutions of maintaining consistent liquidity within turbulent digital markets; examination of long-term growth within state-of-the-art digital execution strategies; technology solutions review for delivering and managing digital assets and navigating the digital asset marketplace; the future of AI, machine learning and the cryptocurrency markets; scrutiny of the opportunities and advantages within volatile Bitcoin markets; insight into the impact of blockchain technology and the capital markets infrastructure; and focused review into unlocking the hidden value of next-generation investment products. Bryan Feinberg, CEO and Founder of Etheralabs, Plato Technologies Inc., Plato Search Inc.
$825 300 In this two-day workshop, students learn about and engage with many aspects of distributed ledger technologies including code, cryptocurrencies, tokens, and crypto economics. These aspects will be examined from the disciplines of technology & code, economics, law, and education. Learning methodologies include lecture, discussion, breakout sessions and hands-on exercises both technical and non-technical. Technical lab exercises will be done in groups with both technical and non-technical students working together. We expect that this workshop will include a broad range of persons and will provide a rich networking environment. $699 550 Token Summit IV will be the 4th event in the Token Summit series, the first conference that explored in-depth the Token-Based Economy. In New York City for the 3rd time, we will continue to discuss the economics, development, regulation and best practices around blockchain-based tokens, protocols, and crypto-assets. Specifically, some of the key topics of this conference will include how to successfully grow decentralized open source protocols, extracting insights from blockchain data, decentralized governance, valuation models, and token functionality models. $699 10,000 Professionals from leading industry startups, investment ﬁrms, ﬁnancial services giants, global brands, academic institutions and policy groups will return to New York to discuss the evolving real-world applications of blockchain technology. Consensus will feature three days of demos, networking and expert discussions regarding the most important commercial developments, technical innovations, and public policy issues. $699 700 Digital Asset Summit (DAS) is a conference for institutional participants in the digital asset space. The most influential family offices, CIOs, fund managers and regulators will gather to discuss developments in market infrastructure and regulatory hurdles in the crypto ecosystem. $299 Unknown Construct is a conference for the developers, systems architects, economists, thinkers, and builders among us. Like CoinDesk’s Consensus conference, it breaks down the silos across the cryptocurrency and blockchain worlds to create an inclusive annual gathering of the industry’s most active builders. Construct was launched in 2017 at a turning point in the blockchain world. Bitcoin was experiencing a scaling crisis, and new chains, such as ethereum, were nascent projects. In today’s multi-chain world with hundreds of billions of dollars in value at stake, Construct is being relaunched as a technical conference with diversity at its core. $99 Unknown Bitcoin Live is proud to host their first annual in-person event. World renowned trader Peter Brandt and premiere cryptocurrency economist Tuur Demeester will sit down for an exclusive Fireside Chat. Both gentleman will talk about the history of the crypto markets and what the next bull market run could look like. $815 Unknown Ethereal Summit returns to New York City on May 10th-11th, continuing upon a strong tradition of championing those building the infrastructure and applications driving blockchain tech, in addition to providing a platform for the cultural and humanistic aspects of the decentralization movement. From enterprises to startups, the most innovative brands in blockchain and beyond choose Ethereal Summit to connect and build authentic relationships. $335 1,500 In 2019, we are working with senior-level quants, traders and technologists from Belvedere Trading, BlockTower, Genesis Global Trading, Scalar Capital, ConsenSys, XR Trading, WH Trading and Data Capital Management to address the most critical developments impacting quant desks and high-performance trading operations. As the industry continues to evolve, so have we, with 2 brand new streams dedicated to Blockchain and Cryptocurrency. $0 Unknown The goal of the conference is to bring economists together with computer science researchers and practitioners working on blockchains in a unique program featuring outstanding invited talks, selected academic presentations and work in progress presentations. Selected academic presentations will be published in the proceedings of the conference. $1761 Unknown MIT Technology Review in collaboration with MIT Media Lab Digital Currency Initiative invite you to a one-day conference examining the technology, ethics, and impact of blockchains. Meet pioneers in this emerging field; Learn about the technology to gain business advantage; Separate fact from hype, and what’s imminent from what’s far off. $350 400 Things are finally moving and we are excited to make Oslo Blockchain Day 2019 all about DEMTECH and best in practice projects on blockchain. We see a huge need for new and challenging discussions on how we build technologies, individuals right to privacy, rising inequality and decline in productivity growth across the globe. To set a new course we need to combine new business development, social responsibility, and technology. We define this pioneering field as DEMocratizing TECHnologies - DEMTECH. $0 1,000 The Summit will be a unique event for governments, businesses, as well as other communities driven by blockchain. It will offer sessions discussg topics like implementation of blockchain in realizing UN SDGs, tokenizing economy with suitable ecosystems for ICO’s, and successful worldwide blockchain use cases. $0 Unknown The "world Blockchain STO Summit" in Dubai on 29-30 April 2019 will bring together the greatest world-class Blockchain Technology pioneers, and STO experts, to discuss blockchain solutions to various industry problems. The Summit will help attendees understand this innovative concept, and to bring blockchain based projects into mainstream attention. $0 3,000 Crypto EXPO Asia is #1 space where crypto world comes live. Worldwide сrypto markets, blockchains and ICO came all in one to Philippines (MAKATI SHANGRI-LA, Manila) to open the world of mysterious and at the same time trendy topic - crypto money. This huge expo-forum is not just about building network between crypto companies and gurus from all over the world but more so about getting to know what crypto world is actually about. $40 1,000 The Crypto Games Conference is the world’s largest and definitive business event for the crypto gaming industry. The third international conference will once again take place in Minsk, Belarus, gathering over 1000 delegates and hundreds of companies from more than 30 countries for two days of networking, learning and doing business. Conference topics revolve around three segments of blockchain gaming – crypto games, iGaming, and gaming ecosystems and services. $100 300 World Blockchain Summit is a global series of elite gatherings that take place in 10+ destinations across the world. It connects global blockchain gurus and technology players in this space including emerging startups – with regional businesses, government authorities, IT leaders, tech entrepreneurs, investors and blockchain developers. The summit features enterprise use-cases, government use-cases, inspirational keynotes, panel discussions, tech-talks, blockchain exhibition, startup pitch competitions, and a host of networking opportunities. $0 12,000 The event showcases two days of top-level content from leading brands, embracing and developing cutting edge blockchain technologies. The Blockchain conference agenda will present a series of expert keynotes, interactive panel discussions and solution-based case studies. All exploring the key industries that are set to be disrupted the most by this new technology, including; legal sectors, retail, financial services, healthcare, insurance, energy, music, government, real estate and more. $1600 Unknown EuropeanPaymentSummit (EPS) offers a unique 2 day dual program featuring key developments in the payments/transaction space combined with key sessions on Open Banking, the latest developments in the regulatory landscape and advances in technology. Next to plenary introductions, delegates can create a meaningful 2 day program in order to gain best insights on developments, debate on key issues and learn best practice initiatives. $295 Unknown The summit connects global blockchain gurus and technology players in the blockchain space including emerging startups – with regional businesses, government authorities, IT leaders, tech entrepreneurs, investors and blockchain developers. It features enterprise use-cases, government use-cases, inspirational keynotes, panel discussions, tech-talks, blockchain exhibition, startup pitch competitions, and a host of networking opportunities. $999 1,000 Co-hosted by the Blockchain Research Institute, a global independent blockchain think-tank, and MCI Group, the world’s largest event management company, Blockchain Revolution Global will educate, inspire and prepare leaders to be part of the revolutionary transformation that blockchain technology is bringing to business, government and society. $0 Unknown Invited speakers and delegates will collaborate with one another to spur conversation, foster innovation, and create a pathway for the development of blockchain and automated IT solutions that enhance business process management and organizational efficiency. The history of blockchain events: See our complete list of Past Bitcoin Events and Blockchain Conferences, Rated and Reviewed.